Interesting analysis of the fragility of SemWeb meta-data. Calls for explicit human viewable and "auditable" meta-data. Of course, it's hilarious that the SemWeb people haven't yet managed to solve the problem of how to "address" things with URIs. :-) After all, people have been addressing things successfully with URLs for years. What is apparently difficult is being clear exactly *what* is being addressed. Because SemWeb promises we can be unambiguous about that, but then seems to have problem distinguishing whether we're talking about the "sense" or the "reference". In contrast URLs have no problems refering because we're not too fussy about what they refer to. Could there be some kind of "uncertainty principle" here? One which says you can know "what" a thing is or "where" it is, but not both at the same time? Now this is the way to run a cool enterprise software company. I wonder why Google don't merge Orkut and Blogger. Marc Andreesen thinks the entertainment could become more like the tech. industry. Personally, I think some kudos should go to Amazon for even raising this possibility. Can't blame Amazon for borrowing the iPod strategy wholesale. It worked spectacularly for Apple. Why change anything? Why I'm a Dave Winer fan. 6. It would be nice to have a USGS earthquake widget. It could be two-way since the Chumby has motion detectors. Yahoo to evolve email and other services towards YASN. I'm going to have to start talking about Google's November Blitzkrieg, a sudden, vicious attack on three fronts : against Microsoft, Sun and Facebook (with MySpace rapidly surrendering and getting with the program). The article makes a convincing case that this is a decisive blow against Sun's mobile platform aspirations. What is likely to happen is that they'll either sue for peace by falling into line with Google, and accepting the effective merger of Java and Dalvik now under Google's leadership and fully open source. Or they'll fight on, but without any real chance of success. I'm right behind Umair on the mind-boggling evil dumbness of Facebook's advertising play. I was a fan of Facebook, of both their intelligence and ambition, but no more. The problem is that Facebook really had something, a potential, that I believe few other commentators understood. It seemed like Mark Zuckerberg had grasped something that eluded the minds of some of the smartest observers around. Now it looks like he didn't really "get it" either. Maybe he was just lucky? Because the new FB advertising platform is going to abuse the enormous power it has. Whether it breaks apart as millions of users flee the deluge of spam or just congeals into a large glob of sticky gunk around the consumtariat, Facebook is blown. Hey! Kids! Make Pepsi your friend and win FREE Ringtones!!! Think the kids you know will have integrity enough to resist? Maybe the price has to be a bit higher. But you get the idea. If friendships have value to predatory brands then they'll be scheming to get them. What all this reminds me of is those sites, back in the day, that used to require you to give your credit-card details in return for a short-term trial; and would then kept charging you a bit every month, in the hope that you either didn't notice, or found it too much trouble to jump through the hoops of cancellation. Oh all right, Umair wins. Facebook are evil and stupid. Doh! What if? - OK, what if I am a friend of someone on MySpace. Cool, my name and picture appears on their friends list and anyone can see it. But what if this MySpace friend joins a PornSpace social network site and wants to import his friends list to that site? Now my name and picture shows up on his PornSpace page as a friend of his? Hey, wait a minute, I didn't agree to that. How do I control where my name and picture go once I become a friend of someone? Will there be guilt by association? He sounds happy enough, but I can't help thinking Slashdot as a brand which was / is really under-exploited. Malder sounds positively over-conservative when he talks about not wanting to change a working formula. I stopped reading Slashdot regularly years ago. Although I still "respect" it, and if it managed to excite me, I'd go back there. But it just keeps on doing the same thing. Compare /. with, say, O'Reilly . Slashdot had the technical reputation and audience that could have made it a serious competitor to O'Reilly in the whole publishing geek-books, organizing conferences and inventing new memes game. Why didn't it? And it's strangely defensive to say that Slashdot isn't trying to be Digg or Reddit etc. The point is, these guys used to be innovators (Everything 2?) why aren't they playing with new ideas? Why no Slashdot social network, or publishing company, or cool use of social software on Sourceforge? (They're buying their wiki from someone else.) Why no code-search like Koders? Why does ThinkGeek seem to be selling a lot of tat novelties when it could have been experimenting with user-contributed T-shirts like Threadless or promoting serious hobbyist electronics the way O'Reilly does with Make? Someone with some attitude could still do something dramatic and exciting with Slashdot / Sourceforge. I'd like to see it. Interesting ... neither Dave Winer nor Umair Haque share my opinion on Facebook advertising. Winer thinks it's a real challenge to Google, not a "sustaining innovation" that Google can copy. Haque thinks that advertising is the big thing for YASNS but thinks MySpace are well ahead because of their openness. Hmmm ... well, they're both smart, I'm pausing to reconsider this a bit further, but I'm still more persuaded by my previous analysis than theirs. But I still don't think that this is what YASNS are really (should really be?) about. Hmmm ... lots of people want it, but I think Facebook's new advertising platform is likely to be a mis-step. A social-utility is NOT a media company. Nor is it an Ad-market. Of course, Facebook still have to figure out how to get paid, but advertising is going to drive them into thinking that they are one of these preceding categories. But no succesful web company has succeeded by thinking it's a media company. That's what destroyed AOL and has Yahoo in deep trouble. Google showed that you can be phenomenally successful as an Ad-Market. But too many companies (particularly Microsoft it seems) took the wrong lesson. The lesson of Google is not that "Adverts are a great business to be in". The lesson is that "disrupting big inefficient value-chains by the clever marshalling of new technologies and new ideas, is a great business to be in". Now, I still think that the opportunity for Facebook (or similar social platform) is to grab a large piece of the market for modelling organizational structure and "wiring people together" which is currently scattered through all kinds of large, inelegant, enterprisey dinosaurs that cost billions to buy and maintain. That's a disruption on a grand scale with commensurate rewards. Google playing catch-up with Facebook as widget hosting is not a threat to Facebook. Facebook trying to play catch-up with Google as an ad-network is possibly a self-inflicted defeat. Ahem ... like I've been saying. There's nothing really wrong with the OpenSocial or openness or even common APIs for social applications. It's just that in practice it's pretty much impossible to square the conflicting privacy concerns, and requirements for user's control over their own data, with widgets except in a walled garden owned by one trusted platform owner. You'd need an entirely new security model. How much flexibility to build into the APIs is a concern. “If you delegate back to the container, a gadget can send mail. It’s different than a gadget asking to send mail itself. It’s a fine line to walk. If you protect it too much, you are making it unusable and people will walk around it,” Marks said. OpenSocial could hook into an instant messaging buddy list, but it could allow invasive scenarios such as clicking on a friend and seeing the friends full buddy list. ZDNet are taking apart "Android"
Google really are deluging us with announcements and new platforms at the moment. A good reminder that standards made by committees tend to be doomed. Second, the committee is going to tend to be meeting and discussing away from the individual participant's urgent day-to-day requirements. A company will keep its real requirements private and try to solve them internally, rather than sharing them with (potential) rivals on the committee. So the committee will be working with inadequate information about the real application of the standard. Third, some people will be attracted to committees because they are abstraction astronauts who like considering things at the very generic level but may not have a good grasp of detailed requirements. Fourth, committee members may believe they should look to the future and can ignore short-term failings of their standard because "obviously" in a few years potential users won't need to be backwardly compatible with today's kludges or will have got the message that there is a better way to do things. Fifth, some organizations will be on the committee not because they have a real requirement from the standard but because they feel the need to be seen there or to be part of the standard-setting or to try to find out what other people are up to, or even to sabotage the standard. This is definitely worth a read and keeping an eye on. GMail's support for IMAP (the mail protocol that supports synchronization of folder-structure between mail clients and servers) Ultimately may push other email clients towards supporting GMail's "tagging" rather thant "foldering" model of email management. And, once you have a generic "tagged" message synchronizing and managing architecture, why stop at email? What about other docs? The proliferation of other messaging protocols and streams (eg. 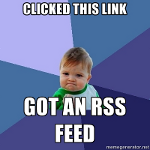 Twitter, RSS, Jaiku, River of News etc.)? Because of the way IMAP supports the nesting of folders, supporting IMAP meant that Google had to figure out a way to hierarchically nest labels. So, along with the introduction of IMAP support, Google has introduced the slash (”/”) as a means of telling GMail that one label is a parent to another. For example, in GMail, the parent-label “Northeast” could have child-labels as in “Northeast/Massachusetts” and “Northeast/Connecticut”. On the client side, such a hierarchical taxonomy would be reflected in parent and child folders with no limit to nesting depth. The introduction of hierarchical tagging begged two more globally directed questions for Google; First, will the hierarchical tagging be made available in other Google services (ie: Google Reader, Google Docs, etc.). Second, when will (note, not “if”, but “when”) Google’s customers be able to unify their taxonomy across those other applications so that users can see everything that’s tagged with the same label (eg: “Northeast/Massachusetts”) regardless of what service it comes from. Hierarchical tags ... that's like square circles. Except in this case it might be a felicitacious synthesis. Yahoo Kickstart ... FacedIn / LinkBook from Yahoo? OpenSocial People does not support queries. If I read it right (after 5 mins, I admit) the API supports getting one friend by id or all friends. But no query that filters friends by link-type. Which, if you think about it, means that there really aren't any social applications that you can build which don't need to go beyond the scope of the API ... which means that all the interesting social applications are still gonna have to be platform specific or modified on a YASN by YASN basis. Damn! Haven't even had a chance to look at OpenSocial yet ... IRL getting in the way. TechCrunch both right and wrong .... OpenSocial can't claim victory until the users turn up. And if their OpenSocial apps start to gain more traction because they have more functionality, they may just start to put those Facebook projects on the back burner. (With OpenSocial, for instance, full applications can run on members’ profile pages, whereas on Facebook there are substantial restrictions on what developers can do on those profile pages). OpenSocial apps aren't going to have "more functionality" in any meaningful way. Because social applications are not like desktop or browser applications. The only functionality which is important to social widgets is "social functionality" and that is dependent on the richness of access to, and the sophistication of manipulating, the social graph itself. OpenSocial is extremely unlikely to be able to offer as rich a functionality in this sense as Facebook (or, indeed, any particular YASN) can, because it's got to be a least-common denominator between a number of very different philosophies of what a YASN is and is for. Joining OpenSocial could actually be a brilliant move for Facebook, especially if it can become the advertising network of choice for social apps. If Facebook can make it easy for Facebook developers to port their apps elsewhere and power those apps with Facebook ads, why wouldn’t it do so? Checkmate, indeed. will the OpenSocial API trickle down to all the community management type programs and service eg. Wild Apricot etc? so big question ... what about Microsoft? There's also a funny question : what about Facebook? Is OpenSocial going to provide a common catalogue of applications, so as long as you register your app. it automatically appears in the directory of all participating YASNS? Or do you have to register each separately? What if you widget actually has code to take advantage of features specific to Orkut or LinkedIn? Will it be visible in their catalogues but not Ning's and Bebo's? - if OpenSocial takes off, will MS just have to buy Facebook? - where the hell are AOL in all this? How hard would it be for them to buy a little YASN, make sure it fits the OpenSocial spec, and give all their users accounts? Have they just totally given up?